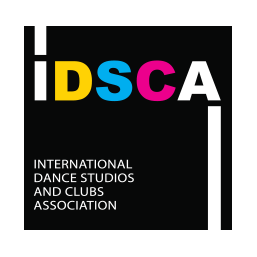 This competition with many years of successful work organized by creative union of professionals — Elena Kolobova (Tantsmeyster dance studio) and Sergey Duvanov (dance and sport center Latinskiy kvartal) supported by International Dance Studios and Clubs Association. The competition each year has been meeting new fans of dances and old friends in the Chaykovskiy hall. 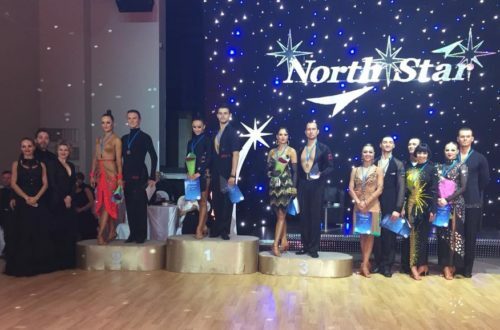 Because of friendly atmosphere and excellent organization the competition took a prominent position in a number of great Pro-Am events. 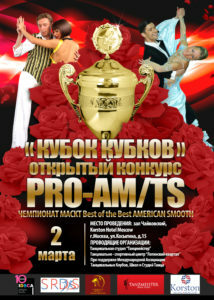 This year the Championship IDSCA Best of the Best American Smooth takes place as part of The Cup of Сups. Welcome to celebration of the starting of summer. For details: +7 (495) 788 04 77.